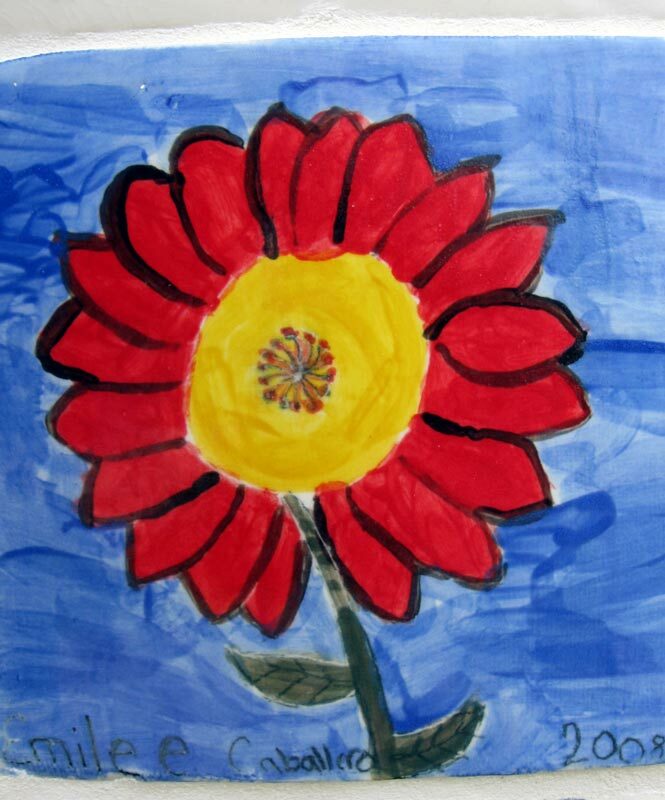 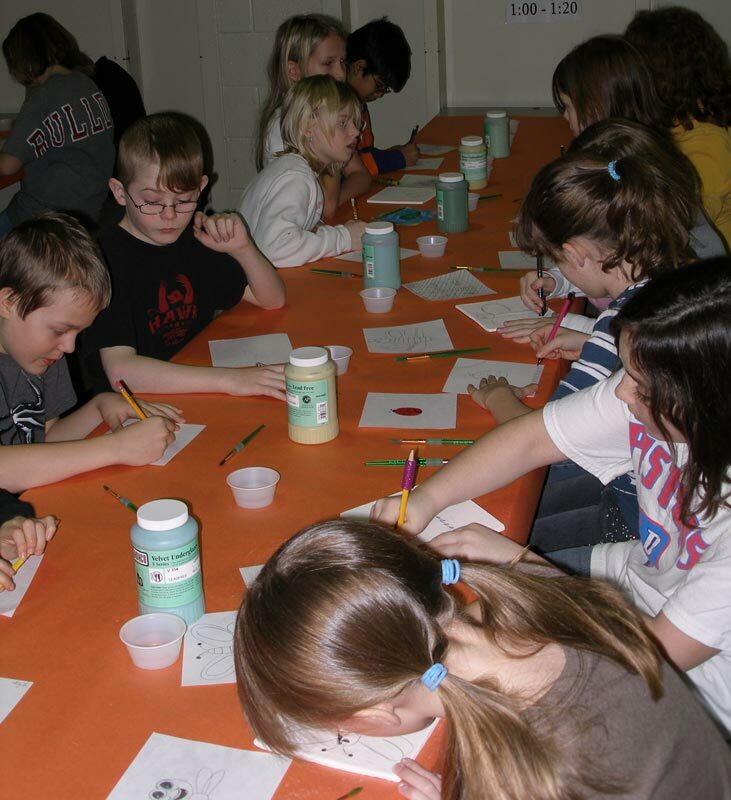 In 2008, I was commissioned to work with the 5th and 6th graders in Indian Hill Elementary School in Grand Blanc Michigan. 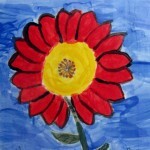 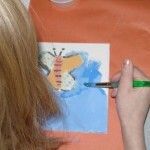 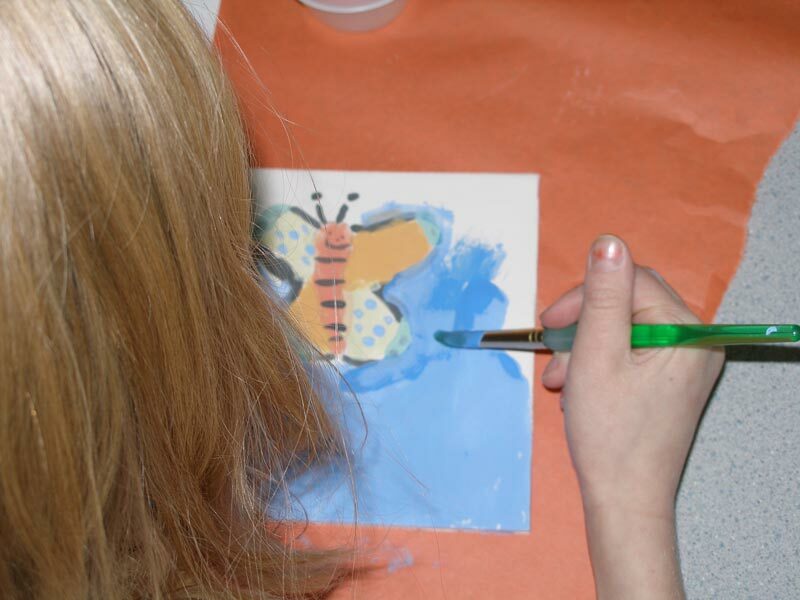 The children hand decorated about 200 porcelain tiles with the themes of birds, bugs, blooms, and butterflies. 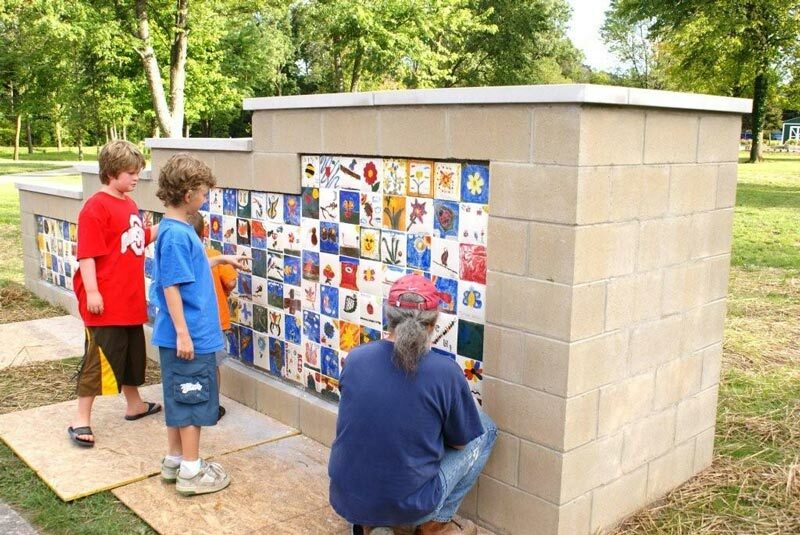 These tiles were then put on a masonry wall commemorating the volunteers who helped beautify Rust Park, which is adjacent and across Thread Creek from the elementary school. 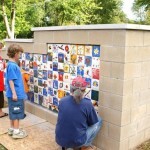 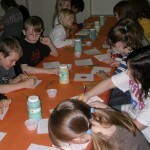 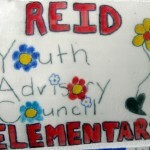 Other children, of various ages, including the Girl Scout troop from the surrounding neighborhood, also decorated tiles. 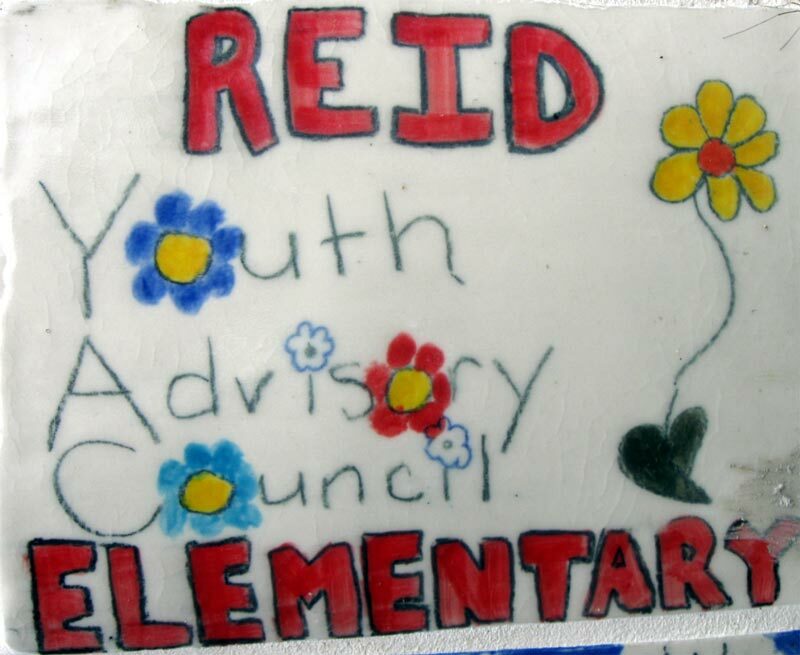 The children, knowing that the tiles were becoming a permanent part of the art in the community, did a wonderful job decorating, and were quite excited to see their tiles on the wall.